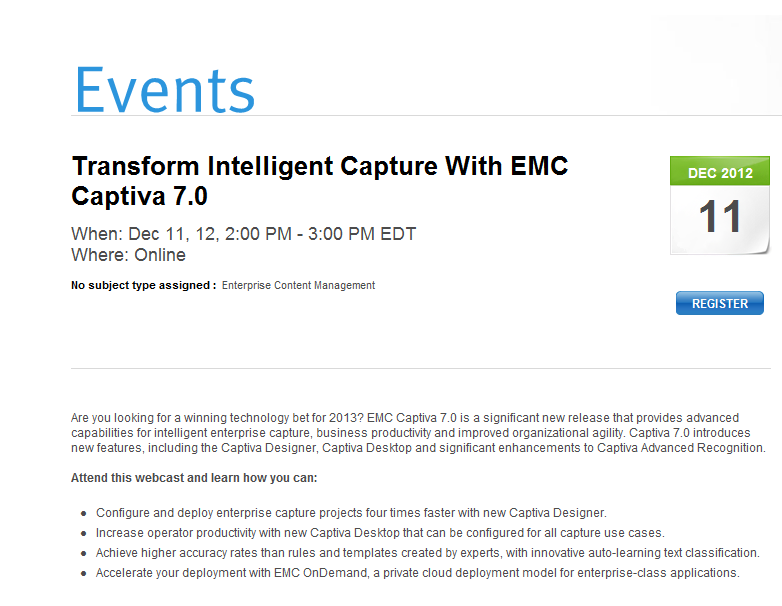 A few weeks ago, EMC announced Captiva 7.0: EMC Transforms Enterprise Capture with Captiva 7.0. I wrote a blog post about the release describing the many new features and benefits you will find. Over the next couple weeks, there are a couple of great opportunities to learn more about this release. 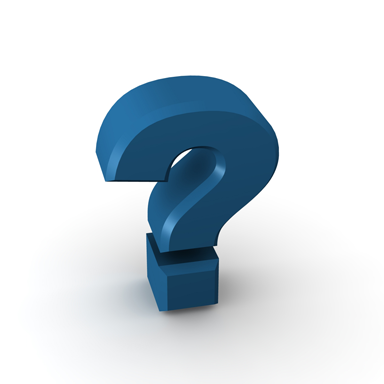 This is an opportunity to discuss and learn about the new features of Captiva 7.0. We will be covering your questions on the new Captiva 7.0 features, including the Captiva Designer, Captiva Desktop and the innovative auto-learning text classification. The Event takes place between the 3rd – 7th December 2012. Get ready by bookmarking this page or signing up for email notifications. In this live event, we’ll cover all the major enhancements in Captiva 7.0 and we’ll also be providing a live demonstration as well. You can register for the event by clicking here. Rapid configuration, customization and integration – all capture flow development and configuration is centralized within the new Captiva Designer; project developers can easily customize processes with point-and-click setup and deploy into production in seconds, rather than the hours or days required by competitive products. Superior accuracy – Production Auto Learning upgrades include using both image and new innovative text-based classification, that delivers 20 percent higher accuracy than rules and templates created manually by an expert. Enhanced operator productivity – Captiva Desktop provides the operator with one client that can be adapted to the use and operator task, rather than operators having to utilize multiple clients to complete the work. As you will see from the many enhancements we have made, the release simplifies the development and deployment of enterprise capture projects, and delivers superior accuracy and operator performance.